Charnwood Forest Regional Park is a partnership of local authorities, agencies, user groups and land management organisations, working to manage and promote the unique cultural and heritage features of the area. The partnership has recently developed a Landscape Partnership bid to the Heritage Lottery Fund (HLF). 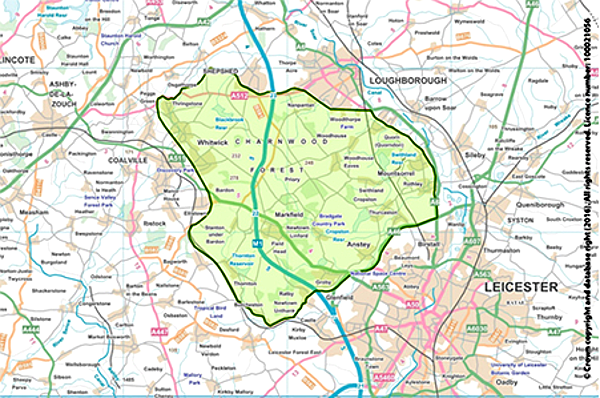 Funding for the two year development phase of this programme has recently been approved, and will lead to the delivery of around £3million worth of projects to protect and celebrate Charnwood Forest between 2020 and 2025.